Today, passive optical network(PON) is widely used by people as a promising solution for modern access telecommunication networks. With the growing of networking, we need more creative and cost-effective PON systems which are no longer limited by the basic elements. 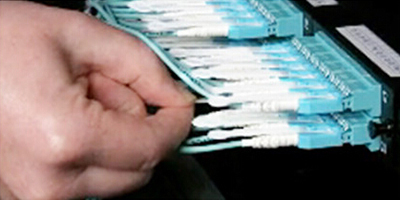 Generally, more common passive optical components include simple fibre optic connectors, splices, couplers/splitters and fixed fibre optic attenuators. Furthermore, optical devices such as switches, variable optical attenuators, circulators, isolators and FBG(Fibre Bragg grating) sensors also are popular in a PON network structure. And this article will focus on description of optical isolators and circulators. A optical isolator operates in a similar way to a optical circulator, but the reverse propagating lightwave is lost instead of being forwarded to a third port for output. A optical isolator is a two-port passive component which transmits light with low attenuation in only one direction. optical isolators’ main function is to reduce or eliminate back reflection and controlling noise. Generally, optical isolators are utilized as both integral and in-line components laser diode modules and optical amplifiers, and to reduce noise due to multi-path reflection in highbit-rate and analog transmission systems. The working principle of optical isolators is based on Polarizers and Faraday Rotators. 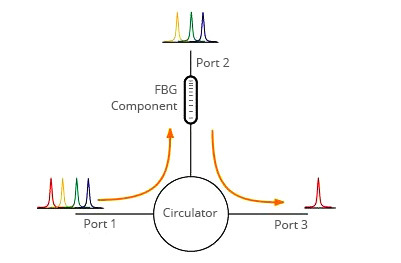 A fibre circulator is generally a three-port circle device designed serving as optical one-way streets to make sure that light entering any port exits from the next. Basically, direct light from port 1 to port 2, port 2 to port 3, with none going 2 to 1. However, there are other choices, for example, 4 ports(has one additional bi-directional port), 1×2 ports, 2×2 ports types in the market as the technology improves. A fibre optic circulator can be used to de-couple transmitted and received signals traveling along the same fibre (in short, the bi-directional transmission), as a kind of branching component that distributes/isolates optical power among optic fibres, depending on the direction of the lightwave propagation. The principle of optical circulators is using the Faraday rotators. Fiberstore is always focused on optical communication products, definitely including the fibre optic passive components. 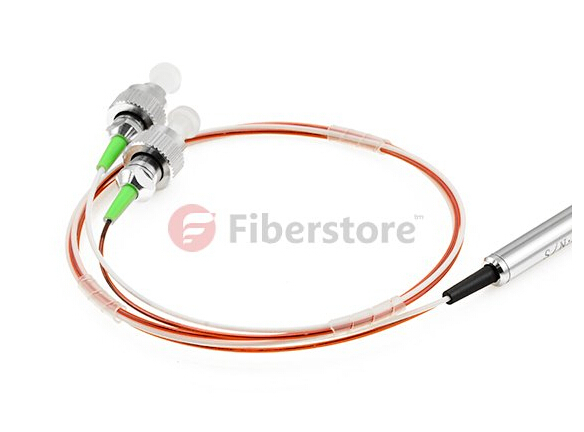 Passive Optical Components, including optical isolators, optical circulators, fibre collimators, and optical attenuators are all offered in Fiberstore with highly quality and competitive prices. Additionally, we welcome any custom requirement in numerous parameter designs, such as beam spot diameter, working distance, dimension etc. This entry was posted in Fiber Optic Circulator and tagged Optical Circulators, Optical Isolators on December 3, 2014 by Admin. Three port Optical Circulator allows light to move in only one direction. A signal entering to Port 1 will exit Port 2 with minimal loss, while a signal entering Port 2 will exit Port 3 with minimal loss. Light entering port 2 experiences a large amount of loss at port 1, and light entering port 3 experiences a large amount of loss at ports 2 and 1. Optical Circulators are non-reciprocal devices. Which means that any changes in the properties of the light caused by passing through the device are not reversed by traveling in the opposite direction. Due to its high isolation and low insertion loss, optical Circulators are commonly used in advanced communication systems as add-drop multiplexers, bi-directional pumps, and chromatic dispersion compensation devices. Figure 1. Circulator used to drop an optical channel from a DWDM system using a Fibre Bragg Grating. Figure 2. Circulator can often send optical signals through a single fibre in 2 directions. Circulators could also be used to deliver optical signal in 2 directions down a single fibre. As the picture shows: A Circulator is located at each side of the fibre. Each Circulator functions to add a signal in one direction while removing the signal in the other. View the example in the Figure 2. A standard Circulator operating in a 1550nm wavelength window usually has insertion loss of about 0.8dB, which is slightly higher than an isolator because of its more complex optical structure. The isolation value is on the order of -40dB and the directionality is often better than -50dB. Optical Circulators can be used to achieve bi-directional optical signal transmission over a single fibre. Optical Circulators is widely used in WDM networks, polarization mode dispersion, chromatic dispersion compensation, optical add-drop modules (OADM), optical amplifiers, OTDR and fibre sensing applications. FS offer 3/4 Ports Polarization-Insensitive optical Circulator and 1310/1550/1064 Polarization-Maintaining (PM) optic Circulators. Our fibr opetical Circulators can provide high isolation, very low insertion loss, low polarization dependent loss (PDL), low polarization mode dispersion (PMD), and excellent environmental stability. Any other wavelengths, without or with any connector can customize according to your requirement. 1. Wavelength: FS can customize any other wavelengths according to your requirement. 2. Length: The default length for the cable is 1M. FS could also provide 0.5M,0.8M,1.5M, 2.0M, etc. 3. Connector: Each port of the Circulator could be with any connector such as FC/LC/SC/ST, etc. Please contact us by email to sales@fs.com or call at +1-253-277-3058 if you have any requirement for it. For more information, please visit fs.com. This entry was posted in Fiber Optic Circulator and tagged 3 Port Optical Circulator, fibre circulator on November 25, 2014 by Admin. An optical circulator is a generalized isolator having three or more ports. While an isolator causes loss in the isolation direction, a circulator collects the light and directs it to a non-reciprocal output port. The figure drawn above shows the severa l possible circulator configurations. 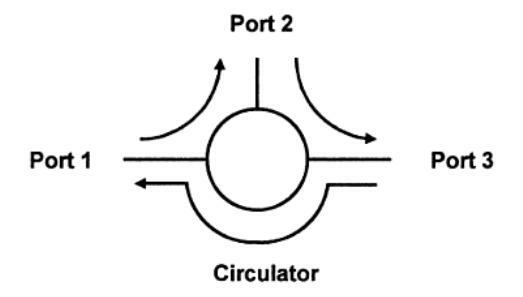 Figure (a) illustrates the port mapping for a four-port circulator. The ports cyclically map 1 -> 2 -> 3 -> 4 -> 1. This is called a strict-sense circulator because every input port has a specific non- reciprocal output port. Construction of a strict-sense circulator with more ports becomes inelegant but ones with three ports becomes simple. Figure (b) illustrates a non-strict-sense circulator having any number of ports greater than two. In this case each input port has a specific non-reciprocal output port except for the last port; the light input to the last port is lost. The ladder diagram reflects the optical path within the component and indicates the disconnect between the first and the last ports. Figure (c) illustrates the three-port non-strict-sense circulator. This circulator has significance in telecommunication applications because return of light from port 3 to port 1 is not often required. For instance, the reflected light from a fibre Bragg grating need only be separated from the input light without loss, but as optical links are not typically operated in reverse there is no need for strict-sense behaviour. An optical circulator allows the routing of light from one fibre to another based upon the direction of the light propagation. Nonreciprocal optical devices, such as optical isolators and optical circulators, are essential components of optical communication systems. Optical isolators pass light propagating in a forward direction while inhibiting the propagation of light in a backward direction. 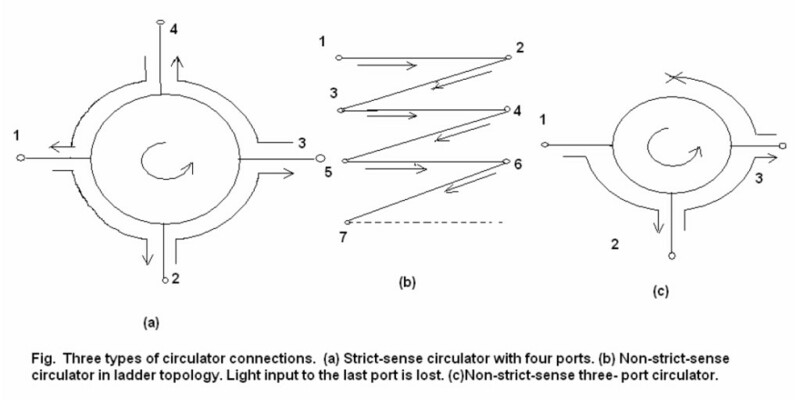 Since the optical circulator is an inherently non-reciprocal device, the light never goes to other ports. Optical circulators have wide applications. They are used to convert an existing unidirectional fibre optic communication link to a full duplex communication link by installing an optical circulator at each end of the link. Optical circulators are also used in fibre amplification systems, wavelength division multiplex (WDM) networks, optical time-domain reflectometers (OTDRs) and for test instruments. Although the optical sophistication of circulators makes them comparatively expensive, designers will appreciate the reliability and elegance imparted by fewer components. The resultant performance improvement may eliminate the need for more powerful transmitters, more sensitive receivers, and intermediate amplifiers, thus making optical circulators an economically interesting proposition. And, as with all technology, we can anticipate sharply lower prices as the optical circulator gains wider acceptance. As one examines optical circulator applications, the notion of integrating the circulator, transmitter, and receiver into a single housing becomes very attractive. All elements would be aligned on a common platform, thus avoiding a multitude of external connectors and splices. Optical circulators is widely used in WDM networks, polarization mode dispersion, chromatic dispersion compensation, optical add-drop modules (OADM), optical amplifiers, OTDR and fibre sensing applications. Fiberstore offer 3/4 Ports Polarization-Insensitive optical circulator and 1310/1550/1064 Polarization-Maintaining (PM) optic circulators. Our fibre optical circulators can provide high isolation, very low insertion loss, low polarization dependent loss (PDL), low polarization mode dispersion (PMD), and excellent environmental stability. Any other wavelengths, without or with any connector can customised according to your requirement. 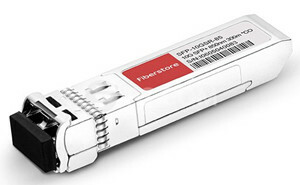 Fiberstore also provide Cisco Optical Transceivers, such as Cisco GLC-SX-MMD, Cisco GLC-LH-SMD and Cisco GLC-T 1000base-T, etc. This entry was posted in Fiber Optic Circulator and tagged fiber circulator, optical circulator on November 21, 2014 by Admin. In fibre optical networks passive components such as optical isolators are essential for delivering of signals with minimum loss. Another type of passive element that is commonly used in fibre optic systems is the optical circulator. These devices that are used to direct the optical signal from one port to another port and in one direction only. This action prevents the signal from propagating in an unintended direction. Optical circulators have continued to increase their presence in a broad array of applications, including optical amplifiers, optical add and drop systems, dense wavelength-division multiplexing (DWDM Mux) networks and, optical time domain reflectometers (OTDRs). In a 3-port circulator a signal is transmitted from port 1 to port 2, another signal is transmitted from port 2 to port 3 and, finally, a third signal can be transmitted from port 3 to port 1. This behavior is represented by the following. Figure 1 Conventional figure to represent the behavior of an optical circulator. The name derives from the fact that a signal is transmitted from Port 1 to Port 2, another signal can be transmitted from Port 2 to Port 3 and, finally, a signal can be transmitted from Port 3 to Port 1. In practice, one or two ports are used as inputs and the third port is used as the output. Two simple examples of optical circulators can be considered. The first is an EDFA amplifier (erbium doped fibre amplifier) application to amplify a signal. The configuration to do this with a three-port optical circulator is shown in the following figure. Figure 2. Amplification of an input optical signal by a pump laser. In the figure, a weak optical signal at 1550nm is input to Port 1 and is directed to Port 2. The weak signal at Port 2 is pumped by a 980nm pump lasers and the amplified signal is then transmitted from port 2 to the output Port 3. In the second example, we consider the application of a Fibre-Bragg grating compensator to correct a distorted signal. This can also be done using a three-port optical circulator as shown in the following figure. Figure 3. Fibre dispersion compensation of a distorted signal. In the figure the distorted signal at Port 1 is conditioned by transmitting the delay distorted input signal to the input of Port 2. At Port 2 dispersion compensation is applied and the compensated (corrected) signal is transmitted to Port 3. We now analyze the operation of the three-port optical circulator. We begin by considering the figure shown below. Figure 4. Configuration of a three-port optical circulator. The components are a beam splitting polarizer (1), a reflection prism (2), two birefringent crystals (3,6), a Faraday rotator (4), and a half-waveplate (5). 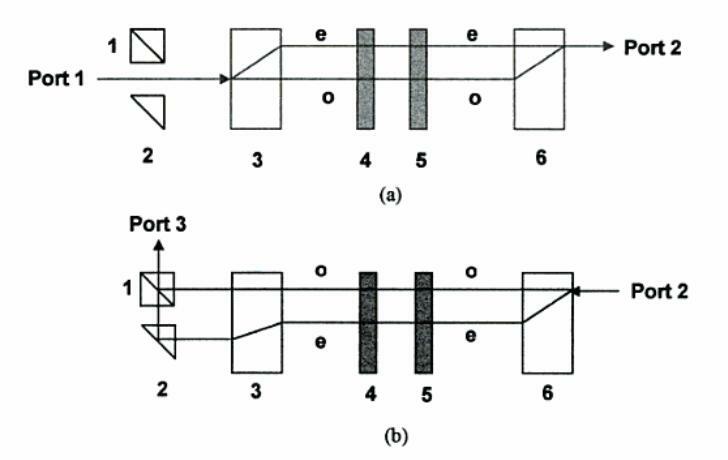 The upper figure (a) describes the propagation from Port 1 to Port 2 and lower figure (b) describes the propagation from Port 2 to Port 3. Optical circulators can be used to achieve bi-directional optical signal transmission over a single fibre. Optical circulators is commonly used in WDM networks, polarization mode dispersion, chromatic dispersion compensation, optical add-drop modules (DWDM OADM), optical amplifiers, OTDR and fibre sensing applications. Fiberstore offer 3/4 ports polarization-insensitive optical circulator and 1310/1550/1064 polarization-maintaining (PM) optic circulators. Our fibre optical circulators can provide high isolation, very low insertion loss, low polarization dependent loss (PDL), low polarization mode dispersion (PMD), and excellent environmental stability. Any other wavelengths, without or with any connector can customised according to your requirement. Related Article: STP vs. UTP, Which One Is Better? This entry was posted in Fiber Optic Circulator and tagged circulator, fiber circulator, optical circulator on November 10, 2014 by Admin.